Have you been given a mandate to ‘Go Cloud’? 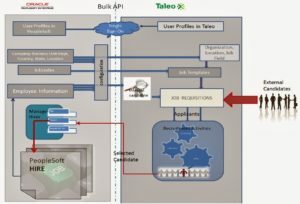 Do you feel like PeopleSoft is just a legacy application that is destined to go the way of green screens or client-server? It’s not that you dislike PeopleSoft, but it’s just not the ‘cool’ or ‘In’ application anymore. It’s said by some (vendor sales associates) that PeopleSoft is a legacy application and its technology is outdated. That it’s table based User Interface isn’t modern and isn’t user friendly. That it’s too expensive to upgrade every 3-5 years. They say PeopleSoft is dead! 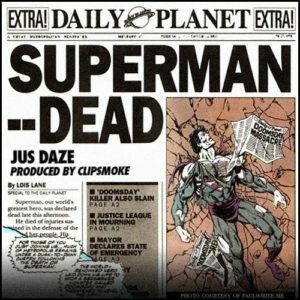 Well, they declared Superman dead once, but the reality is the franchise is doing well. With an updated wardrobe (minus the red underpants) and a new soundtrack, Superman is back and better than ever. And so is PeopleSoft. PeopleSoft is still the Cadillac of HCM/Financial application functionality, especially for global customers. Oracle has made huge investments recently with the introduction of new features and technologies such as the PeopleSoft Cloud Architecture (PCA), Fluid interface, Selective Adoption, the Test Framework (PTF), PeopleSoft Update Manager (PUM) and the Related Content Server (I feel like I’m in the army with all the acronyms). These updates have given PeopleSoft the much needed wardrobe makeover it needed. PeopleSoft has always been one of the most functionally robust systems available, but now it has all the technology benefits of a modern software system to go along with that best practice functionality. 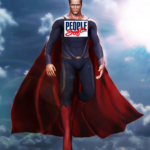 Starting with PeopleTools 8.53 and continuing with PeopleTools 8.55+, the PeopleSoft architecture allows customers to have many of the cost saving options as full cloud vendors, and more! It’s not the one size fits all that you get with other cloud only vendors. Each PeopleSoft customer has the choice to define what level fits their organization best. Now you can put PeopleSoft into the Cloud in various formats; from Hybrid cloud with Infrastructure as a Service (IaaS), a private cloud, to keeping the traditional on premise (but still able to utilize cloud tools); all without the costly reimplementation and conversion. Other than it’s all the rage these days, why would you want to put your PeopleSoft system in the cloud? Well, the biggest reason would be: Cost Savings. Keeping your current on premise network infrastructure is expensive. By moving to the cloud you’ll be able to take advantage of the latest hardware and platform innovations as well as utilize best practices for security and data management. PeopleSoft instances can be easily spun up and taken down in hours, not days with the new PCA rapid provisioning tools. Add to that the ability to dynamically scale the hardware as needed to reduce or eliminate common performance issues. Move your PeopleSoft system(s) into the Cloud, via the Oracle Cloud or another 3rd party vendor. Implement the Selective Adoption methodology and Update Manager to apply image updates shortly after being released (every 10-12 weeks). Utilize the PeopleSoft Test Framework to automate testing of updates. Move or remove as many PeopleSoft customizations as possible via the Content Server functionality to lesson customization impact on delivered PeopleSoft updates. Utilize PeopleSoft Deployment Packages (PDK) to maximize demo, development and test environments as well as the Automated Configuration Manager (ACM) to migrate configuration settings. Deploy both delivered and PS WebSolution SmartForms utilizing the Fluid user interface for a consistent and simplified user interface on any device. 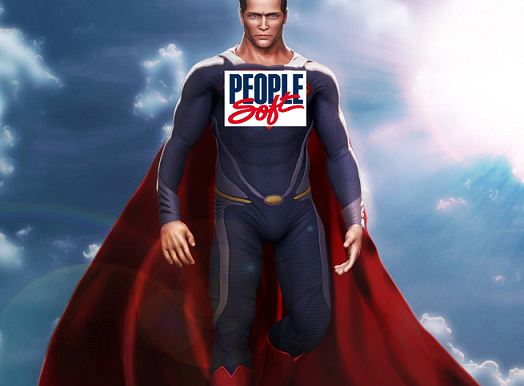 That PeopleSoft is now a viable cloud solution! We will start a deep dive into each of these new features in follow-up posts but the notion that PeopleSoft’s days are over isn’t accurate. 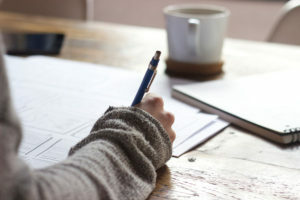 When evaluating potential application changes, it’s important to have all the facts in order to make informed decisions. And keeping your existing PeopleSoft application and utilizing its new wardrobe update make it more than a compelling option. Tyger Vollrath is the Founder and COO of PS WebSolution. He has over nineteen years of experience in the PeopleSoft and is a frequent speaker and contributor of HCM content. I had no idea PeopleSoft had that many updates. Tyger, this is very informative. Now, I am hopeful! Excellent post. Looking forward for ucoming posts from you. Curious to hear more about the content server and it’s uses for customization’s. FYI: Love the reference to red underpants. Nice post Tyger. Looking forward to reading the deeper dives. Any truth to rumors that PeopleSoft has committed to 2 more version updates; 9.3 and subsequently 9.4 over the next few years? Yes (and no). The Selective Adoption methodology consists of smaller functional updates every 10-12 weeks, vs a major release every 2-3 years (ie 9.1 -> 9.2). PeopleSoft has released 19 updates so far, so the current release version is 9.2.019. That said, there are no planned additional updates to the 9.2 (dot) product number, but that’s just a number! It’s really a marketing issue, not a lack of updates and new functionality and this is one of the biggest “I didn’t know that” complaints we here from our customers and the purpose of this post. Of course sales is using this as a tactic to say PeopleSoft isn’t doing anymore updates past 9.2 (gotta love sales people!). Support of PeopleSoft and new functionality and technical updates are guaranteed for at LEAST 12 years based on current contractual requirements with promises to support it for it’s lifetime if on the current release. And with the latest features, PeopleSoft can compete with any Cloud solution (and beat if you include it’s unmatched functionality) and can even be setup as a Cloud solution itself. Interesting and informative. Looking forward to know more. PS on Cloud will be the best of both worlds ! One thing you did not mention is that Oracle has no saleforce selling the Financials product in Europe. So whilst all the above is good Oracle has not real interest to have an in house competitor to Oracle Fusion for financials anyway. The missing piece of the question about whether PeopleSoft is a viable solution to implement or continue to upgrade/enhance/invest in, is “Is Oracle going to market it?” Yes, you can request it, but if Oracle doesn’t aggressively market PeopleSoft against other (including their own) cloud offerings it doesn’t matter what the technology capabilities are. Great article. I have been around PeopleSoft since v4, and I have been supporting upgrades and implementations since the early 90’s. While PeopleSoft remains a viable solution, however, good luck getting an Oracle Rep to sell any additional modules. They are pushing the Oracle hcm cloud solution and shunning any requests for additional modules on the PeopleSoft on premise application. What a shame to see the slow demise of this powerful system. At some point, they will have pushed their loyal customers to seek other solutions. Great Article! Concise yet clear. I agree that Peoplesoft has become a viable cloud option. One of the main reasons that some companies are reluctant to merge is not related to cost but to trust and security. Managing sensitive information on an off-premise environment can be seen as risky, then again this can be the case for any cloud computing service and a hybrid cloud model enables companies to pick and choose the elements (either from public cloud, private cloud or an SaaS solution) that most closely fit their own computing needs.